The caped crusader is among the most recognizable superheroes around he world, and the unique look of his costume, along with the demeanor he carries himself with, makes for a fantastic choice for a Halloween, cosplay or other party costume, as the..
Iron Man is among the more unique characters in the Marvel universe, appearing for the first time in Tales of Suspense #39, which was in 1963. What was unique to me was the eventual depiction of the very human and weak side of Tony Stark - who was Iron Man - in the comic book story. It's not that there weren't other superheroes who struggled with various elements of life, but the depth of the struggle was what I remember as being a major change in direction for the industry. I was very young when I read it, so it wasn't as interesting or significant at the time. It was probably an attempt to draw in some older readers to expand Marvel's customer base. Costumes depicting Iron Man are also very interesting, as they are among the most popular for those who love to tinker, taking on the persona of Tony Stark himself, who in fact loved to play with gadgets and invent things. The complexity of the Iron Man costume makes it something only those that have the aptitude for facing and figuring out technical problems can tackle and solve. 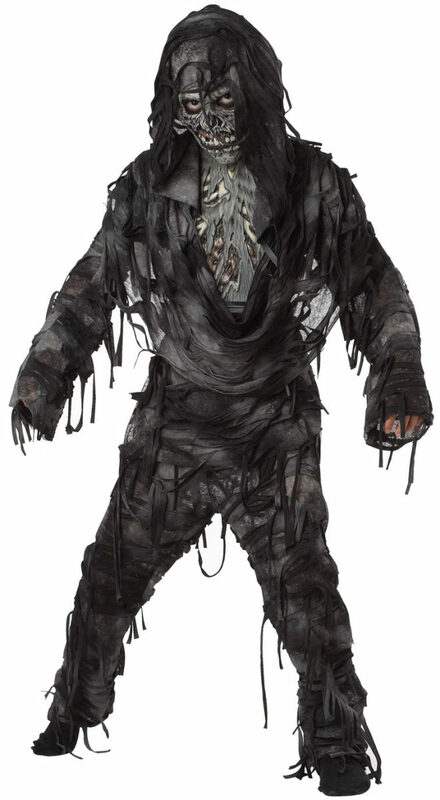 Consequently, it's one of the few costumes I recommend that should be bought instead of made for the average person. 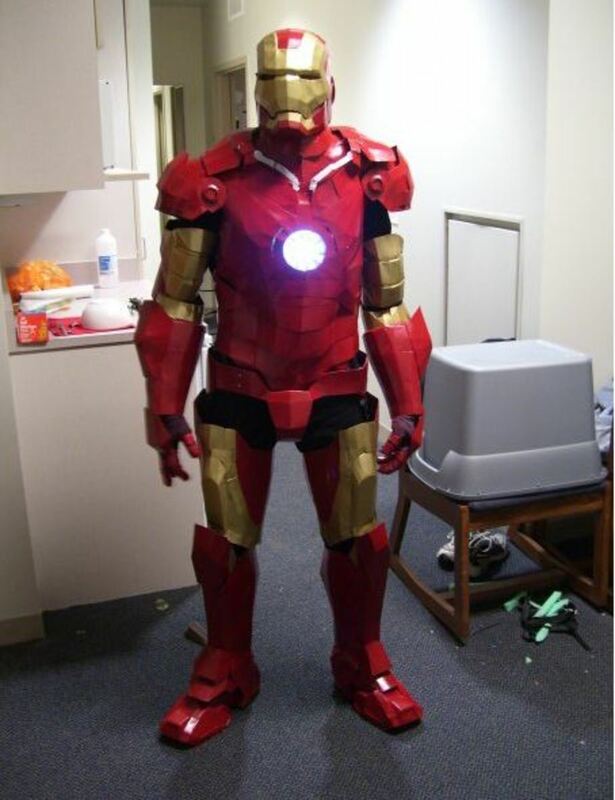 Now for those that love to fool around with practical challenges, making an Iron Man costume can be an awesome experience, and a satisfying one, if it is successfully accomplished. Many attempts at making costumes at home are very forgivable when they fail, as they end up being, in most cases, a humorous and enjoyable costume to look at, knowing it was given a good try, and can end up looking so ghastly they're funny. That works as long as it isn't being taken too seriously by the creator of the costume. The only time I'm a little more critical is when a homemade costume is done for a Con and/or cosplay event and it appears to have had very little thinking and effort put into it. The point is this: Iron Man costumes are probably among the most demanding in regard to being customized by those making them at home than any other costume I've encountered. It's the expectations surrounding the Iron Man persona and the resultant assumption someone with some technical skill is performing the job. That puts some pressure on Iron Man costume creators, who vie with one another to bring the costume to even higher levels. This is why I say it's far better to acquire an Iron Man costume, as it's just not possible to design a quality one in the manner that has now come to be expected. That's not to say a cute Iron Man for a young child won't work, I'm thinking more in reference to adult Iron Man costumes here. If you think I'm exaggerating about the level designing Iron Man costumes has come to, take a look at the video tutorials and stories below of what it takes to make just one part of a costume, as well as some of the cool results of those that have worked on the Iron Man theme. Another designer takes you through much of what he as done, going from piece to piece of the Iron Man suit to give you an idea of how he designs them. After viewing these three relatively short videos, you'll be convinced about the difficulty in building an awesome Iron Man suit to wear. 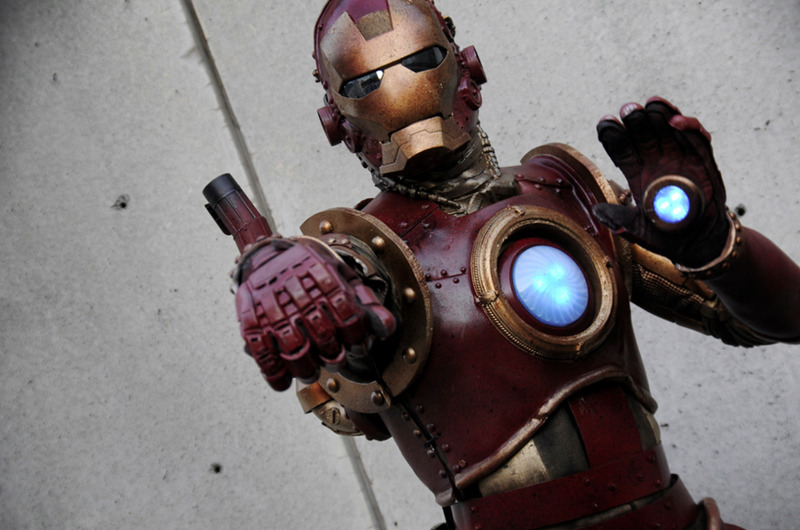 Now we'll get into some awesome still shots of Iron Man costumes, starting off with this Steampunk costume, which was awarded the top costume at the Marvel Costume Contest at New York Comic Con 2010. For the uninitiated, Steampunk refers to a time when everything was run by steam, and is celebrated will the creation of all sorts of gadgets and interesting costumes, as well as cool art. Specifically and easily recognizable Steampunk accessories in this costume include those round contraptions around the shoulders and wrists. The rivets on the costume also point to that theme. 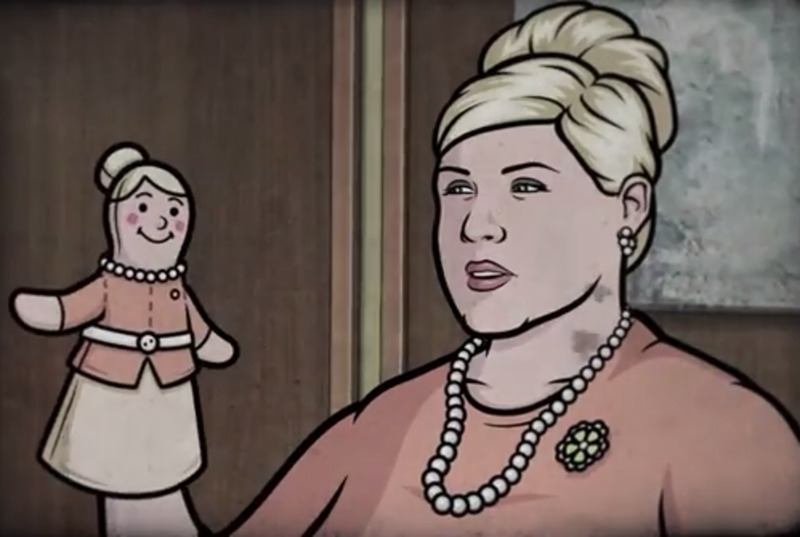 The costume is fantastic, and obviously deserves to be awarded for that quality. Very unique. 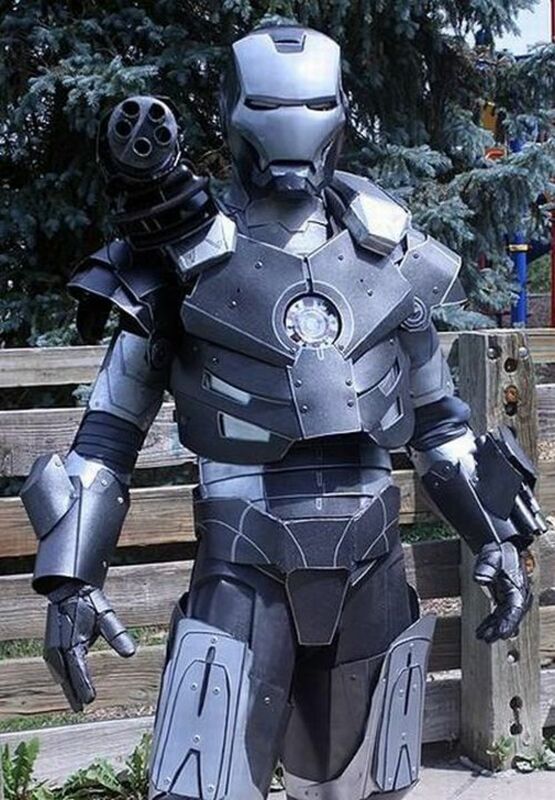 Here is another unique and extraordinary homemade Iron Man costume. The decision to go with an all silver and gray look was an interesting one, as the gold and red color combination of a traditional Iron Man costume is very compelling. Nonetheless, this is an amazing costume, including some terrific detail. One thing for sure, you know when this guy shows up in this costume, there will be no duplicates. To show the quality of the work being done with these homemade costumes, this particular Iron Man costume is the weakest of those shown in the gallery, in my opinion, and it still really rocks. One thing that is a little different is the various parts of the costume that appear to shine more than others. That may be nothing more than the angle of the light shining on him, as it's in areas that sink in that it seems to shine the most. Still, I can't account for the parts that are shiny on the arms of the costume, although they appear to be corrugated in design, possibly adding more reflectiveness to the costume. 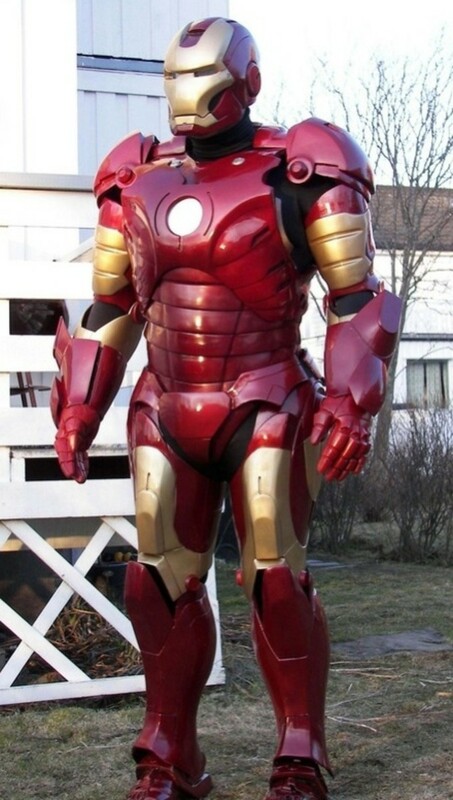 Either way, it's a very good Iron Man costume. After viewing this Iron Man costume, I've changed my mind slightly about the above costume as to being the weaker of the bunch. I think this one qualifies for that distinction more than the above one, only because you can see the jointed areas a little too easily near the shoulders and top of the legs. Now I really like the jointed design of the costume, as it's very different from others. It just looks a little hokey to see that much space between the parts. Still, as with all of these costumes, it's only a matter of degree, as they're all really fantastic. What could be cooler than costuming as Iron Man together with a son? Having said that, the big Iron Man costume is really great. Every part of it has been meticulously designed and made, with terrific realism and detail. But in the end, it's the wonderful holding of hands between a father and son, as portrayed here, that makes this so enjoyable. 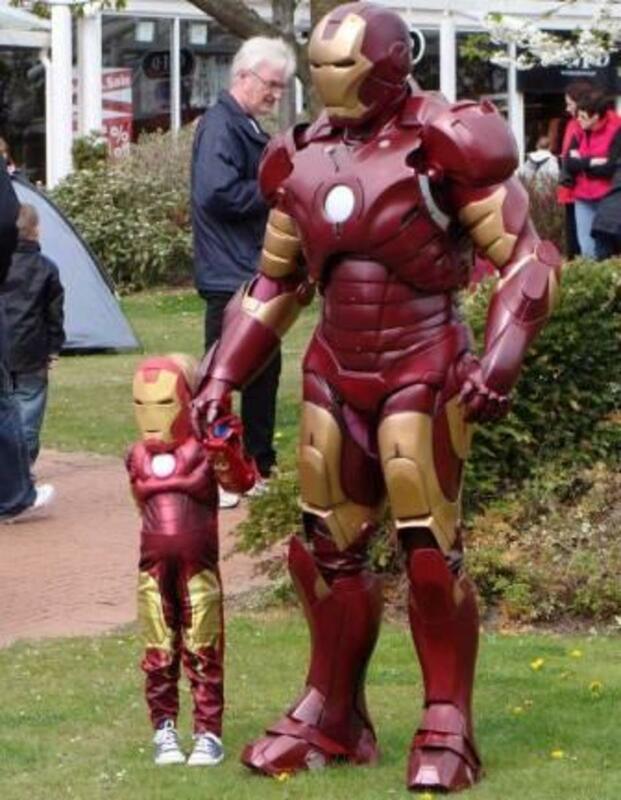 It's also a good example of a simple Iron Man costume for a little boy. Here we have a closer look at the unbelievable Iron Man costume. According to one account, it cost between $2 to $3 thousand to make, and was sold on eBay for an whopping $6,000. It reportedly took several months to complete. I haven't seen it yet, but if anyone could improve upon this Iron Man costume, it would be close to being a work of art. As you can see, I wasn't exaggerating when I said Iron Man costume designs bring the entire genre up a notch, as the mechanics of the costume make it perfect for those that love to work with their hands, and enjoy figuring out challenging problems. 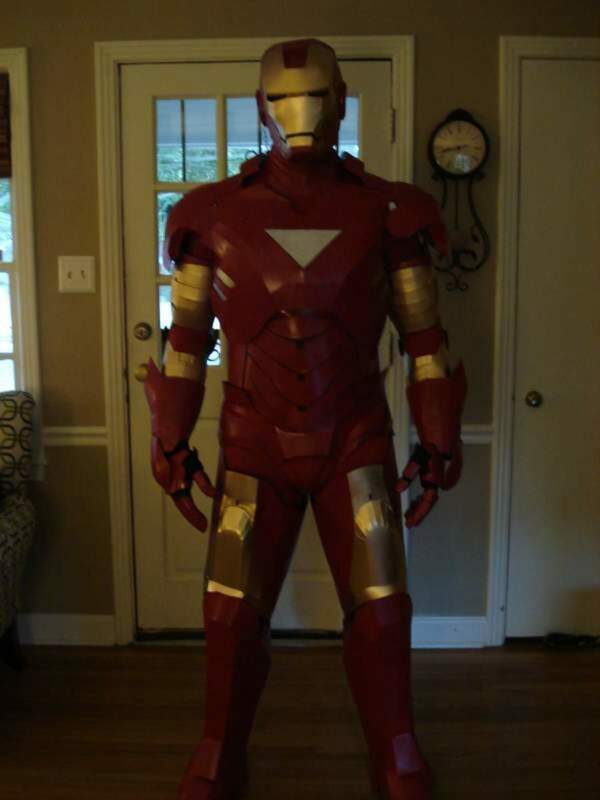 And after viewing the Iron Man video tutorials and and costumes, you can see why most people need to think in terms of acquiring an Iron Man costume rather than attempting to make one. But whether you make or buy one, Iron Man is definitely among the top character themes to build or wear a costume around.